Let’s face it, we have all been to a wedding ceremony where we are thinking "how boring is this" or "this is going waaayyyy to long". Well, with me as your celebrant, you wont need to worry about that. I am here to create a ceremony that you and your guests will enjoy and maybe even have a little giggle (ok a lot of giggles). Together we will create a bright, modern and relaxed ceremony that really reflects you as individuals and as a couple. I travel all over Adelaide including the Adelaide Hills, McLaren Vale, Barossa and even the Yorke Peninsula! One of the best aspects of being a celebrant is visiting to most amazing venues SA has to offer. – Big smiles and my genuine desire to see you have the most amazing ceremony. So you want to book and wondering what the next steps are? 1. We meet and have coffee (or wine) and complete a booking form and a Notice of Intended Marriage form (NOIM). The NOIM needs to be lodged with your celebrant at least one month, and not more than eighteen months, before the marriage takes place. 2. I then email you a questionnaire “to get to know you more” which assists me in creating a personalised ceremony for you (this is optional). 3. 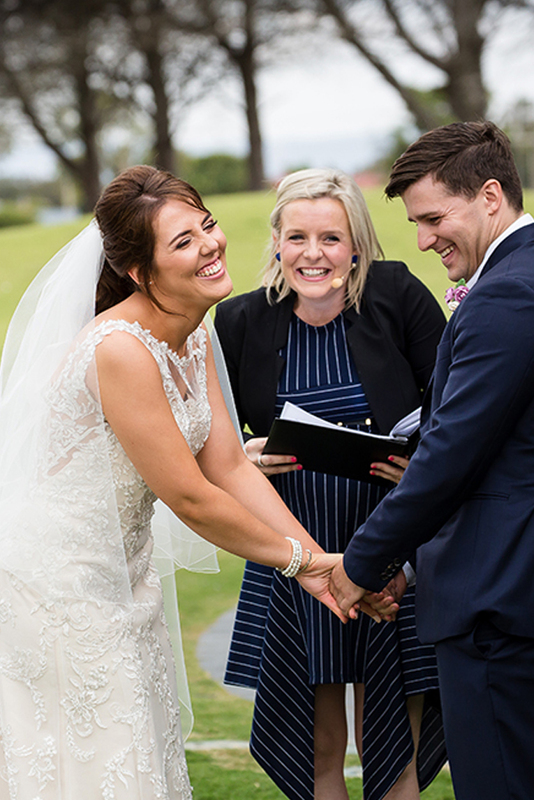 You receive a first draft of your ceremony (at least 6 weeks prior to your wedding) as well as a ceremonies resources pack which I have developed to help you in the planning process. 4. Changes are made (if required) to your ceremony until we agree on a final draft. 5. We arrange a rehearsal or final meeting to sign a Declaration of No Legal Impediment to Marriage. 7. All legal documentation will be completed and lodged to Birth Deaths and Marriages who will register your marriage.